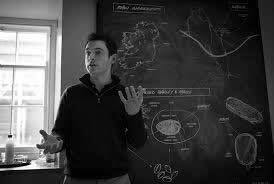 I was delighted a few weeks ago to get an invite from James Brown, (Account Manager at Richmond Towers Communications) to be part of a group of bloggers from the Scotland, England, Ireland and The Netherlands to experience The Irish Whiskey Academy at Midleton Distillery. The Academy is to let all who pass through it’s doors learn about the craft and expertise that goes into creating some of the finest Irish Whiskeys. Midleton Distillery lies approx. 15 km east of Ireland’s second city, Cork. This Distillery founded in 1825 is quite unique in that on the one site it has both copper pot stills and column stills. 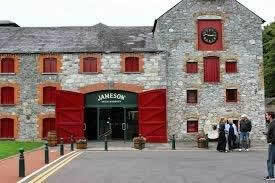 Midleton Distillery is the home of Jameson and The Single Pot Still Irish Whiskey. While at the Academy I was to learn over a two day course, how Midleton craft their Whiskeys from the grain to the glass. 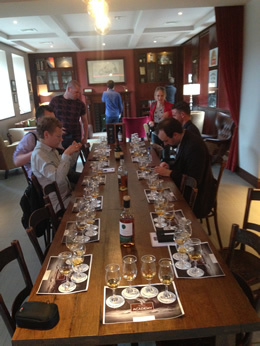 On the first day of the Academy I, together with all the other gathered bloggers were met at the Jameson Visitor Centre by Jayne Murphy (Senior Brand Manager – Prestige) and David McCabe (Irish Whiskey Ambassador) who was to be our main host and lecturer for the two day experience. After a fine lunch at Jameson’s Dave gave us a guided walkthrough of the Old Distillery ending up at the main Academy Building, where our lectures would be mainly held. Raw Materials, Brewing and Fermentation. Site visit: Grains, Brewhouse, Fermenters, Stillhouse Meet with Brian Nation The Master Distiller. Pot Distillation Theory and Practical. Finishing the first day with a Premium Tasting of Irish Single Pot Still Whiskey Range. We all departed our hotel for The Ballymaloe Hotel/Restaurant for Dinner. Prior to dinner we were delighted to taste some Jameson light cocktails, some with ginger and lime others with cranberry juice ever so refreshing. After dinner we all returned to our hotel where we had a couple of nightcaps that included Redbreast and Jameson Whiskeys. An early morning start at the Academy Building commenced with us heading off to the Cooperage to be met by the very effervescent Ger Buckley a Master Cooper. After learning about the wood and the make up of various types of casks Ger gave us a masterclass on the deconstruction and rebuild of a cask, it was an absolute delight to watch a craftsman at work, this was one of my highlights of the course. 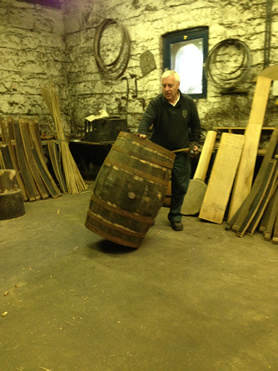 Ger was also telling us about a very lucky lad indeed, he is the new apprentice cooper who after some time at Middleton has spent time in a Scottish cooperage, he is currently in a Spanish cooperage until early next year and then flies of to a cooperage in Kentucky. Now that is one lucky lad, am I jealous or what. Back to the Academy where Carol Quinn was awaiting our arrival to give us all an in-depth Archive Presentation with her Mission being :- “To preserve and administer the historical archive of Irish Distillers Pernod Ricard as evidence of its key development and activity, while promoting this legacy for the benefit of the company and its brands”. This one hour presentation did install in us all the need to retain and protect the heritage of Midleton Distillery and all it’s fine products. Premium Tasting – Jameson Range, including Jameson Select Reserve, Jameson Gold Reserve and Ja meson 18 year Old Limited Reserve. Delightful. Site Visit – Spritstore, Warehouse 42B, Cask Opening Meet with Kevin O’Gorman (Master of Maturation). Kevin opened three different casks for us all to have a dram, a Sherry Cask, a Port Cask and a Bourbon Cask. My favourite was the dram from the Bourbon Cask, the others being grand as well. After lunch we headed back to the Academy for a Blending Class. That was the end of the Academy Course and I loved every minute of it. Dave McCabe is an outstanding Ambassador and his style, knowledge and enthusiasm in infectious. I cannot thank enough everyone at Midleton and Richmond Towers for a fantastic few days. The people at Midleton are all great it is as if they are one giant family, all striving for perfection and achieving it. My appraisal of the course, from someone who already had a fair knowledge of Whisky it that I now have an even greater appreciation and knowledge of all things Whisky. A BIG THANKS goes out to, Dave McCabe, Jayne Murphy, Brian Nation, Ger Buckley, Carol Quinn, Kevin O’Gorman and all the staff at Midleton, I had a ball and speaking to the other bloggers they also had a grand old time and have taken away more knowledge of Whiskey than when the arrived at first. P.S. Chris Hoban (Edinburgh Whisky Blog) Femke Tijtsma Sijtsma (Whisky Girl) and I were not flying home until the day after the course finished, so we all three were invited to the Jameson – Aged Pale Ale Launch Event being held in The Oliver Plunkett Bar – 116 Oliver Plunkett Street, Cork. This is a collaboration between Jameson and The Franciscan Well Brewery. The brewery make some very fine pale ale and then age it in some Jameson Second Fill Bourbon Barrels. The idea is that once you follow your glass of Jameson after the pale ale you will be able to agree how well they are paired. This was an extra to the course which we were not expecting but really enjoyed. To top it off we had Ger Buckley in the other bar doing a short cask/wood introduction and again followed it with rebuilding a cask, smashing stuff. 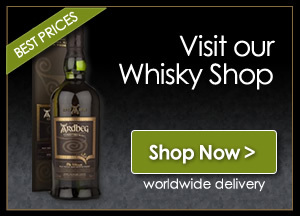 So any lover of all things Whisky/Whiskey then the Academy is for you. 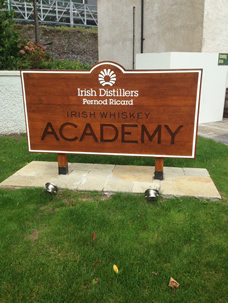 Check it out via this link http://www.irishdistillers.ie/our-company/irish-whiskey-academy.html . Whether you are an enthusiastic novice or seasoned veteran this course will delight and educate you. The by-word that I kept feeling was Quality, everything to do with the Distillery, the people, the Academy Building, hand outs, the tuition had a fantastic feel of quality and professionalism. It was obvious that lots of time and money were taken to bring this exciting new addition to the education of the world to some fine and rare Whiskeys. 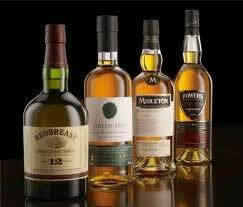 Well done Irish Distillers, Pernod Ricard, Irish Whiskey Academy and all at Midleton.